The Bermuda Netball Association [BNA] has appointed the individuals who will be joining as Council Members for the 2018-2019 season, as well as announcing that the U21 National Netball Team will be participating in the USA Netball U21 International Development Series in Fort Lauderdale, Florida from Saturday, July 21 to Thursday, July 26. A spokesperson said, “The Bermuda Netball Association would like to thank all members that came out to support our AGM, which took place Thursday, June 28. 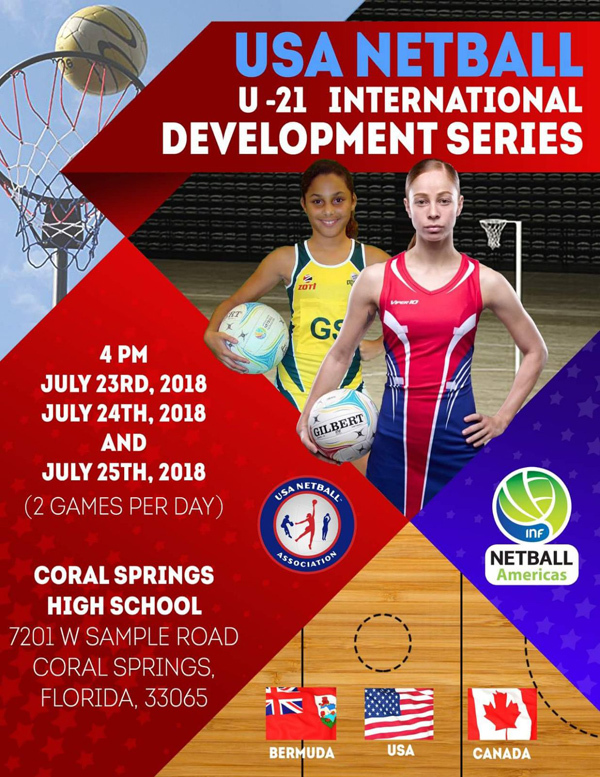 “The Bermuda U21 National Netball Team will be participating in the USA Netball U21 International Development Series in Fort Lauderdale, Florida from July 21st to 26th. This tournament is the pinnacle of netball competitions for emerging players who are under 21 years of age. This preparation will increase our likelihood of qualifying in our region. “We are pleased to announce that BNA representative/player Danielle Raynor is currently in Ghana, along with veteran coach and player Merle Parfitt, teaching the game of netball and serving within the community with the ACE It Foundation.